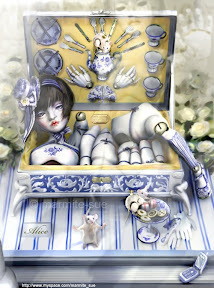 I discovered an amazing doll maker and artist over the last couple of days, who goes by Marmite-Sue. 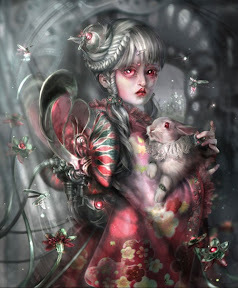 Her dolls and imagery are beautiful, creepy, melancholy, nightmarish and ethereal all in one delightful package. Truly, I don't have words. Please go to her official site to explore her amazing art: ClickHere Her dolls can also be custom-ordered as well.